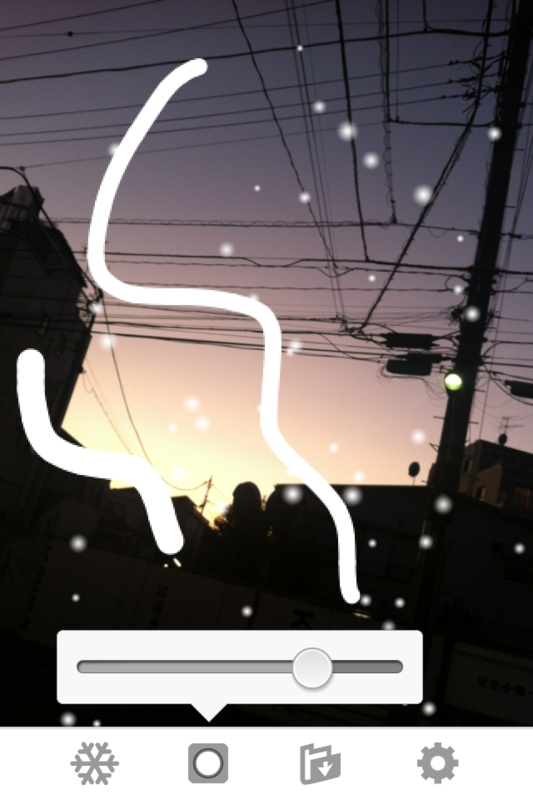 The drawn line changes to snow. The timing in which it begins to snow can be chosen. 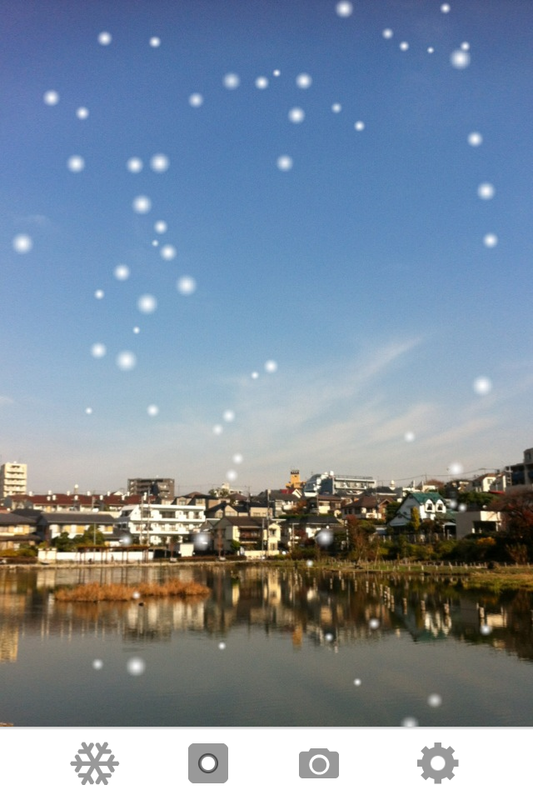 How for snow to fall can be chosen. A background can be chosen. What was drawn can be saved on a camera roll. A photograph can be taken when a camera is chosen as a background.